BACON & SONS FILM CO. » Oh, Hello, Clio! 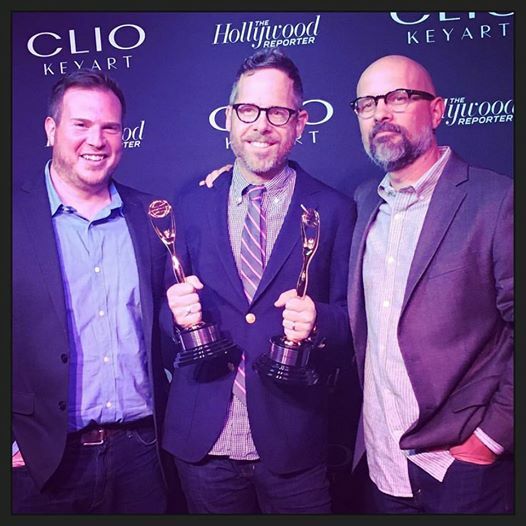 Great night last night at the Clio Key Art Awards. Firstly, we got to see work showcased that is the absolute class of tv, theatrical and gaming promotion. Secondly, our evening’s host was the always funny Amy Sadaris. Lastly, but not least(ly? ), our piece for Neighbors 2/Fear The Walking Dead brought home a couple bronze statuettes. Grateful for these and that our Sharkando/Dodge spot “Preparation” was honored as a finalist, as well. Oh, and free drinks! Truly a great first experience at the Clio Key Arts!